The Court of Appeal in New Zealand last week refused to overturn a lower court ruling that Ioane Teitiota must return to island nation of Kiribati. Teitiota, 37, was a farmer and fisherman in Kiribati, a collection of 33 coral islands with a population of just over 100,000. He has been in New Zealand without legal permission since October 2010, when his work visa expired. He says he should be granted asylum because his low-lying homeland is endangered by global warming and will be slowly swallowed up by the ocean in the coming decades. 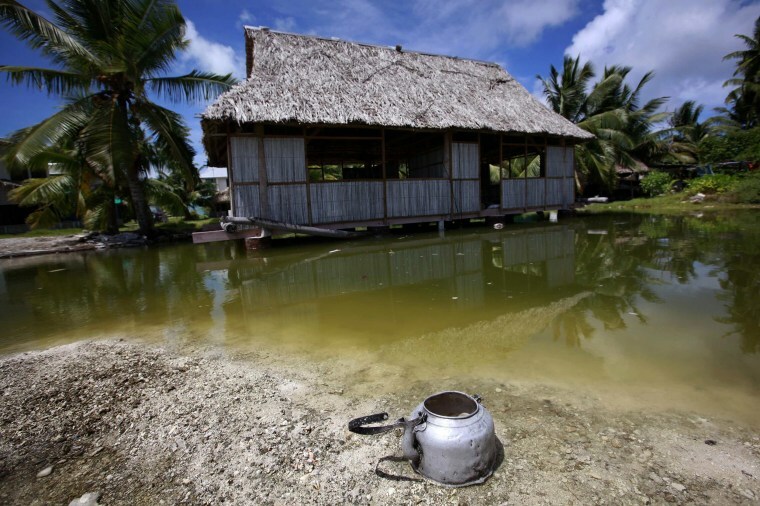 Kiribati's own government has said that "relocation" of its own people may eventually be inevitable. “The appellant does not wish to return to Kiribati because of the difficulties they faced due to the combined pressures of over-population and sea-level rise,” the court noted. But the appeal court said Teitiota’s arguments do not fall within the definition of a refugee as spelled out in the 1951 Refugee Convention adopted by the United Nations. That convention was meant to protect people who didn’t want to return to their country for fear being persecuted because of race, religion, nationality, membership of a particular social group or political opinion. The ruling paves the way for Teitiota and his family to be deported. “Although the Court has every sympathy with the people of Kiribati, Mr. Teitiota’s claim for recognition as a refugee is fundamentally misconceived. It attempts to stand the Convention on its head,” the Court of Appeal ruling said. Teitiota’s lawyer, Michael Kidd, did not immediately respond to an email from NBC News for comment on Monday. He was quoted by Radio Australia as saying Teitiota and his family want to stay in New Zealand and may still continue their fight.